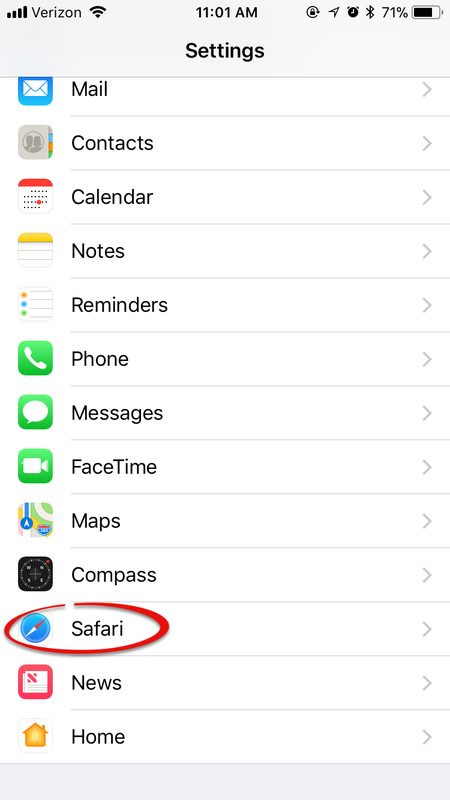 A cache is a collection of files stored by your browser, and a cookie is a file that is obtained from a web site and then stored on your device. If your web browser isn't functioning properly, you may be able to solve the issue by clearing your cache and cookies. This can be done on a computer or mobile device. 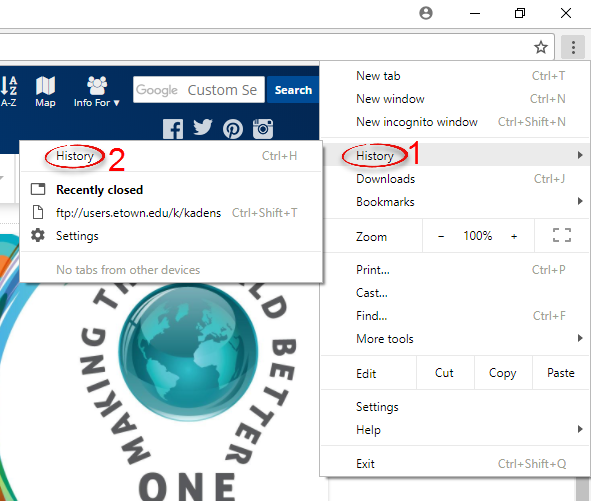 Step 1: In your browser, click Tools from the menu bar. If the menu bar is not displayed, see these instructions. Remove the check from Preserve Favorites website data. Check Temporary Internet files and Cookies. Step 4: Click Delete. You will have to close and reopen the browser for the changes to apply. 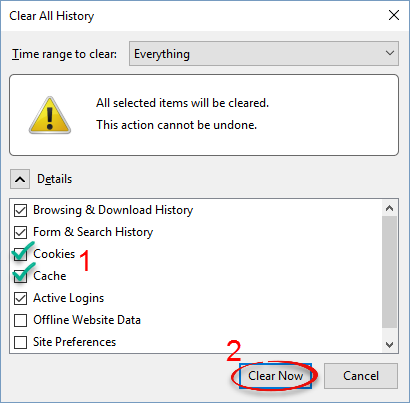 Step 1: In your browser, click History from the menu bar, then click Clear Recent History.... If the menu bar is missing, hit the [Alt] key. 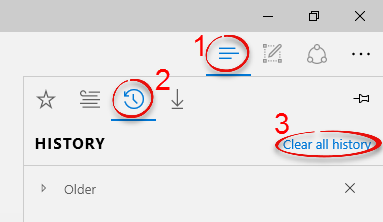 Step 2: Select the time range to clear. Everything will clear your entire cache. Step 3: Check the list of items that are being cleared. Be sure to include Cookies and Cache. Click Clear Now. You will have to close and reopen the browser for changes to apply. Step 1: In your browser, click the three dots in the left corner. 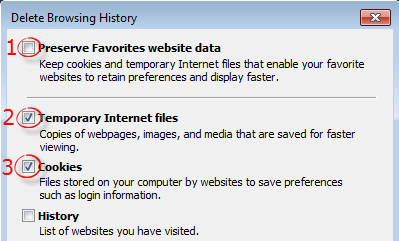 Step 2: Click History, then click History. 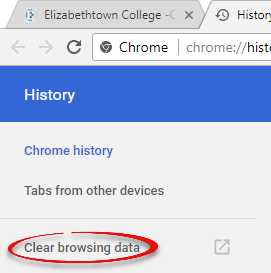 Step 3: Click Clear browsing data. Step 4: Select your time range and choose items to clear. Make sure Cookies and other site data and Cached images and files are checked. Click Clear Data. 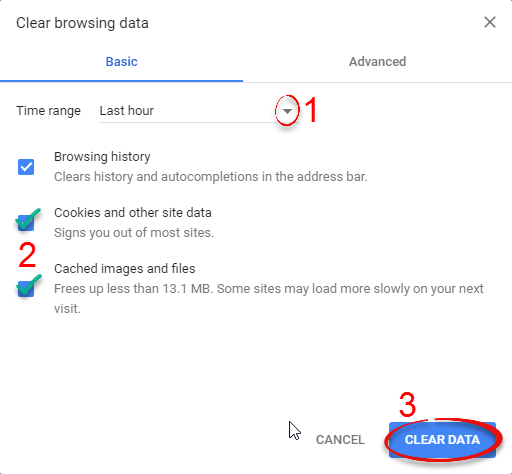 Step 2: Select the time range and click Clear History. 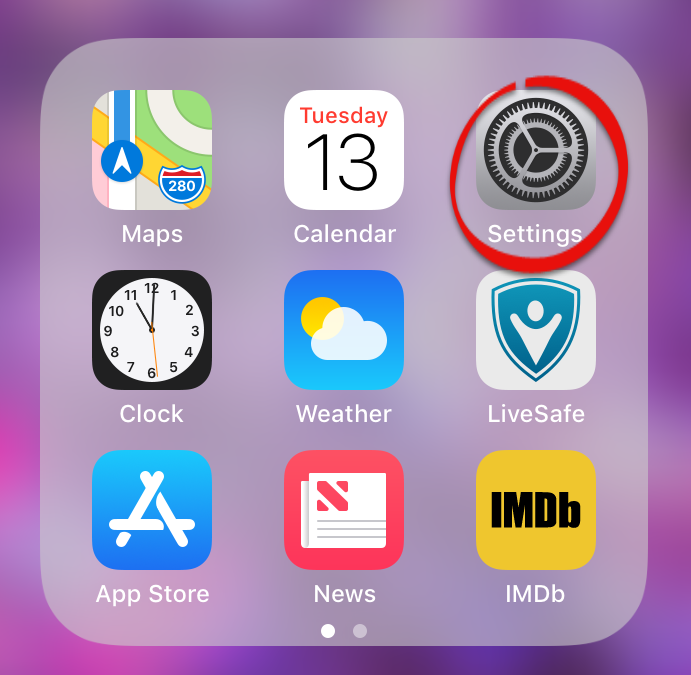 Step 1:Click the lines in the top right corner of the screen. 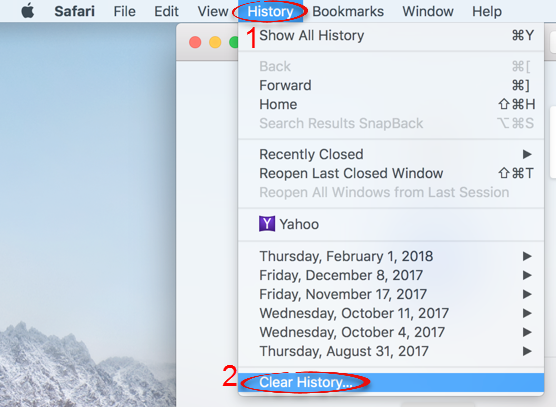 Click the clock icon, then Clear all history. 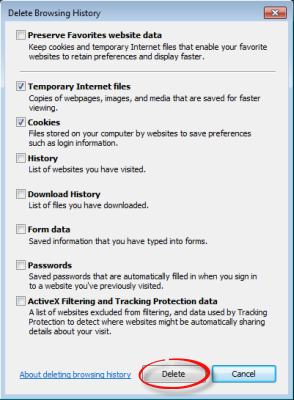 Step 2:Check Cookies and saved website data and Cached data and files. Click Clear. Step 1: Open the browser on your Android device. Step 2: Tap Menu, then More. 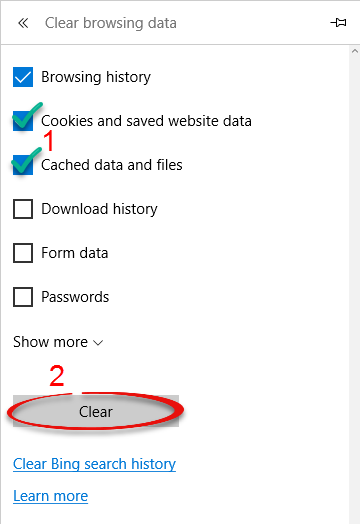 Step 4: Select Clear cache and Clear all cookie data under Privacy settings. Step 5: Tap OK to delete. 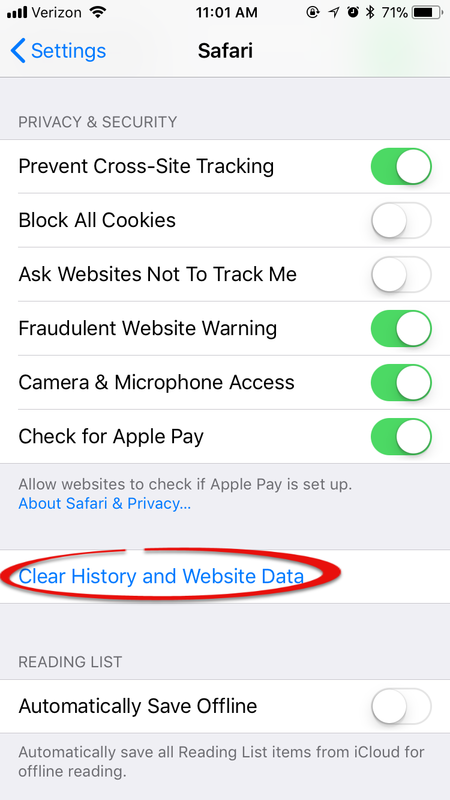 Step 3: Scroll down and tap Clear History and Website Data. 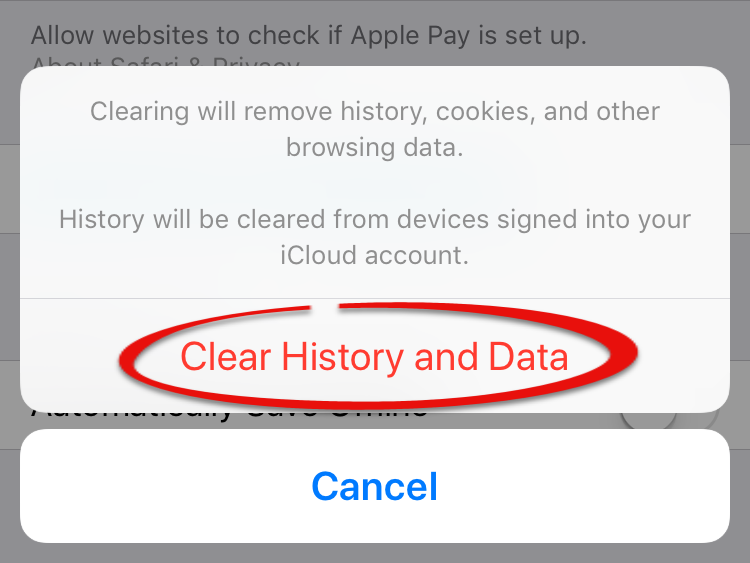 Step 4: Click Clear History and Data.